Wednesday mornings usually start with me thinking that waffles would be great. 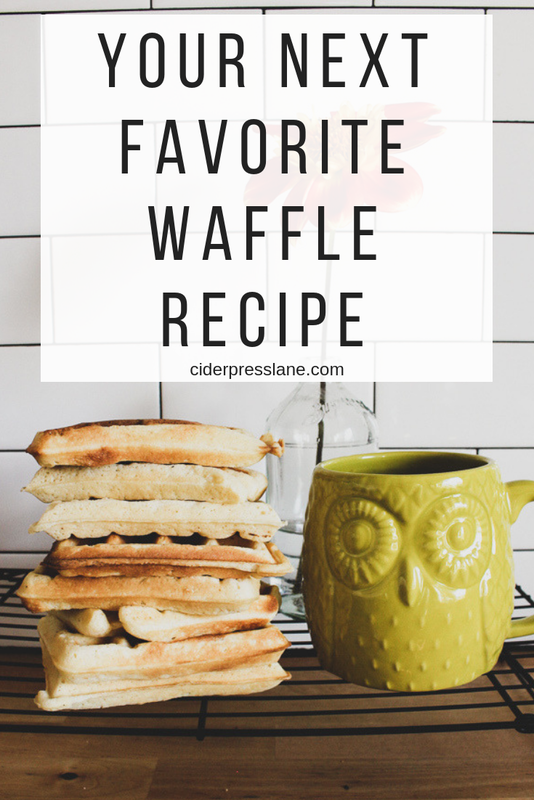 Maybe because it sounds good together, Wednesday Waffles…maybe because I can whip up an easy breakfast and create #redtintreats all at the same time? Any way you cut it, the kids never complain and I’ve tried just about every recipe combo out there to create our favorite. And these my friends will be your next favorite as well. The trickiest part is that YES you must separate the egg yolks from the whites and whip the whites into a frothy state. I promise it’s worth the extra bowl to wash and the few extra minutes required. It’s the secret to fluffy, crispy waffles on Wednesdays or any other day that you have a few extra minutes to treat yourself to a lovely, buttery, crispy waffle morning. In your first bowl, blend the dry ingredients together, then set aside. In your second and third bowls separate the egg whites from the yolks. Set the egg whites aside. In your third bowl, add the remaining wet ingredients (half & half, butter and vanilla) to the egg yolks. Whisk the wet ingredients together then, stir the wet ingredients into the dry until combined. There will be some lumps in the batter, it’s okay! Now to the secret trick, with an electric whisk or mixer, beat the egg whites until they are light and fluffy. With a rubber spatula, gently fold the egg whites into the batter. Do not over mix the batter! Once the egg whites are in, you want to stir it as little as possible. Pour the batter into the waffle iron and start filling plates with waffles. I’ve found that these need to stay in the waffle iron a bit longer than the regulated timer calls for. Keep them in until they are golden brown. If you are not going to eat them right away put them on a cooling wrack. This keeps them crispy until you’re ready to enjoy them! I pop these in the toaster on the lowest setting to reheat them for snacks or breakfast the next day. Now to enjoying waffles and filling the Red Tin with Treats. Cheers to creating a home full of yummy smells, traditions and the little pieces that create the life you love.